Kini. Kini is a popular resort (perhaps the most popular) on the Greek island of Syros. It is a small fishing village that in recent years has exploded with tourism. 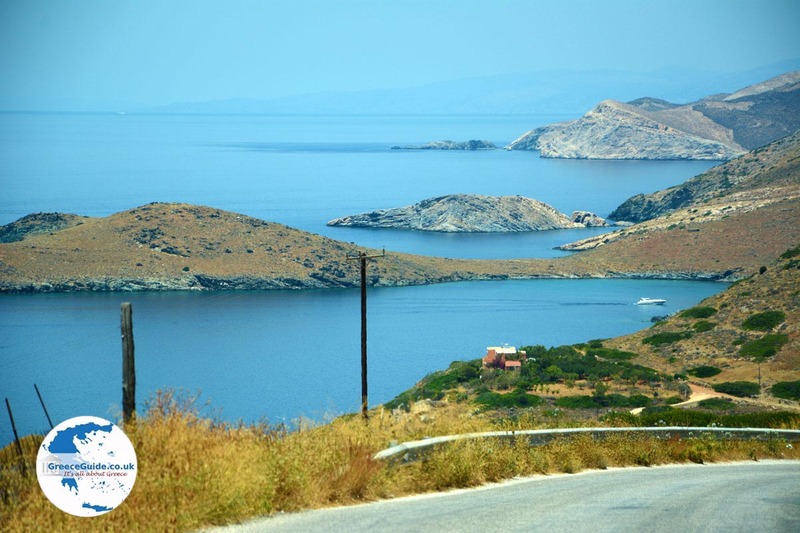 It is located about eight kilometers (5 mi) west of Ermoupolis, the capital of Syros. 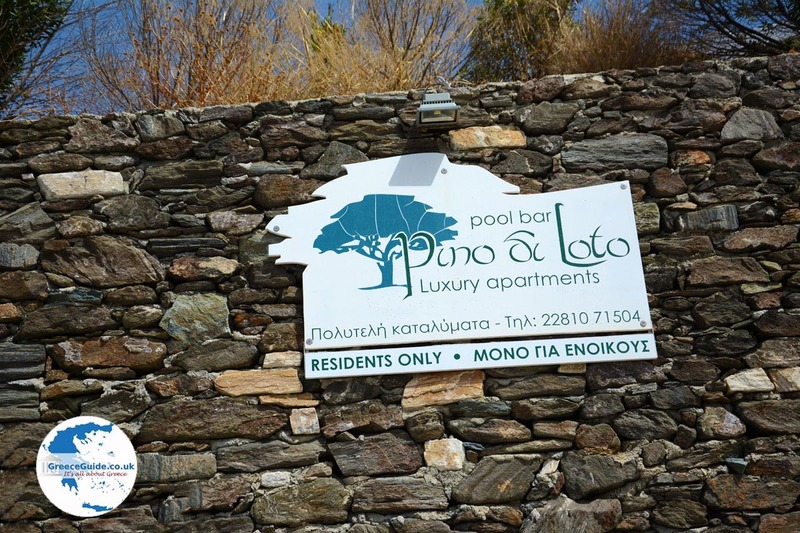 About 200 permanent residents live in Kini, and unlike other resorts in Syros, Kini is inhabited year round. 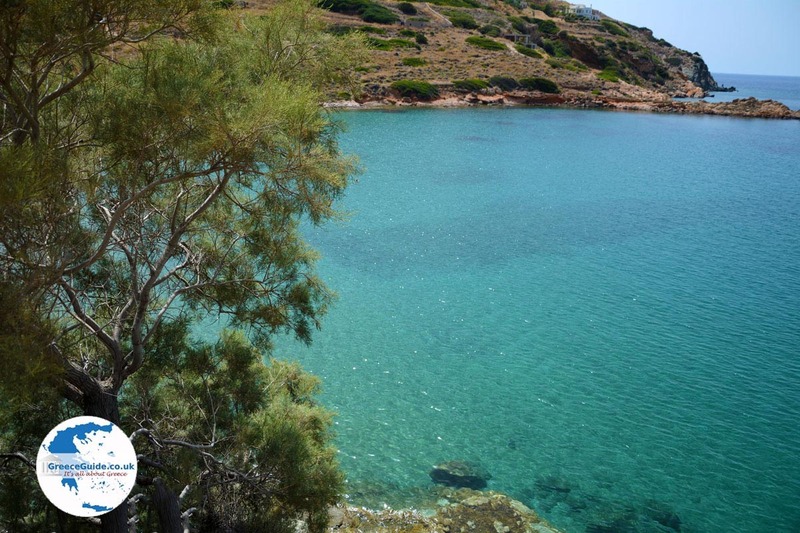 At the bay of Kini is a lively fishing port and a beautiful sandy beach. 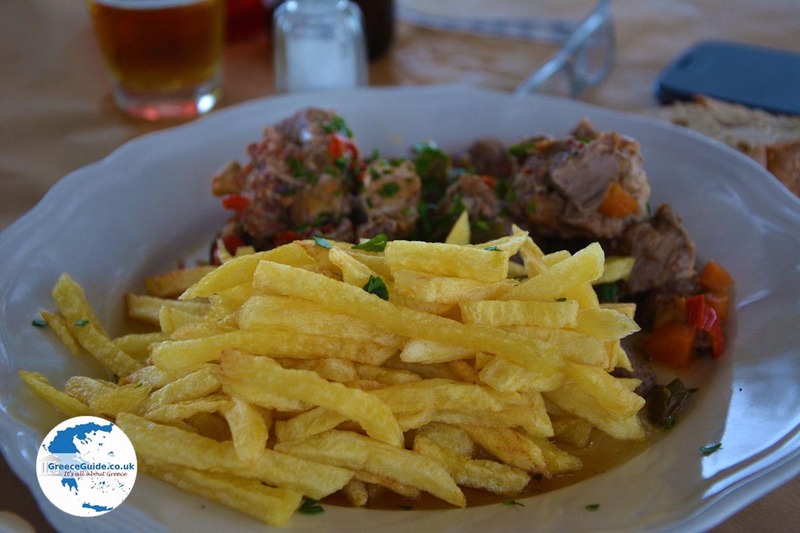 At the beach and the harbor of Kini are many nice taverns and cafeterias. The village is built around the bay and the beach. The excellent sandy beach boasts fantastic sunsets. 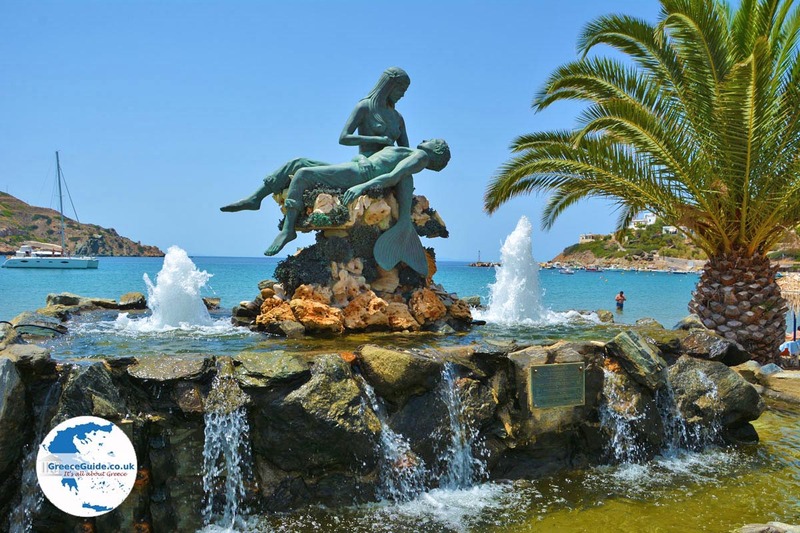 At the beach is the statue of Gorgona Panagia (Holy Mother the Mermaid), a work by the artist Giorgos Xenoulis. The sculpture is situated in a water fountain. From Kini Beach, to the left, there is the quiet beach called Lotos. This beach is also a nice, sandy beach. To get here, you have to walk on the slope of a hill. On the beach are plenty of trees that provide shade. About two kilometers (just over a mile) north of Kini, in the bay of Delfini, is a pebble beach, accessible via a dirt road. 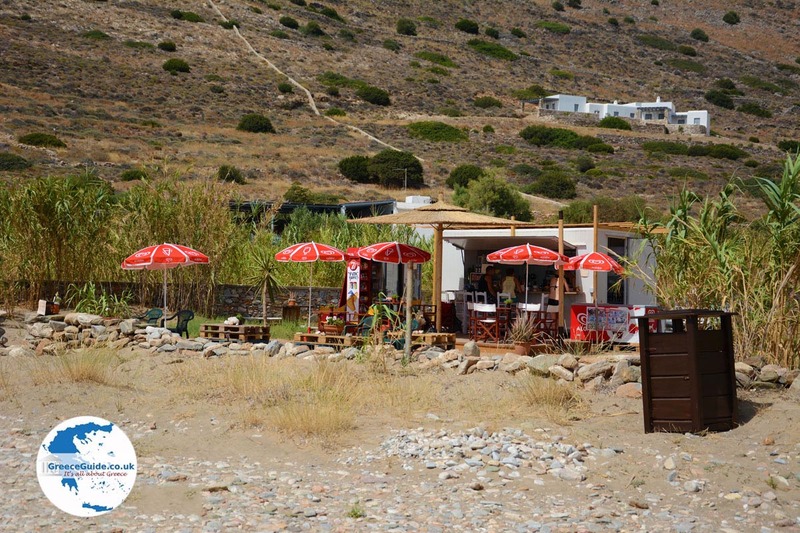 Although this beach is somewhat remote, it is quite popular among Greeks. 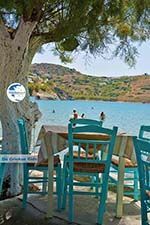 On the beach at Delfini are parasols and sun loungers for hire and behind the beach there is a canteen where bathers can buy snacks and drinks. When you drive by car to Ermoupolis, at the highest point of the hill behind Kini, you’ll see the Holy Monastery of Agia Varvara (St. Barbara). This is the only Orthodox monastery of Syros. From here you have a fantastic view over the bay of Kini. A priest named Ioakim from Mykonos built this monastery. Other places of interest in Kini are the church of Aghios Petros and the Catholic church of the Holy Mother Mary. 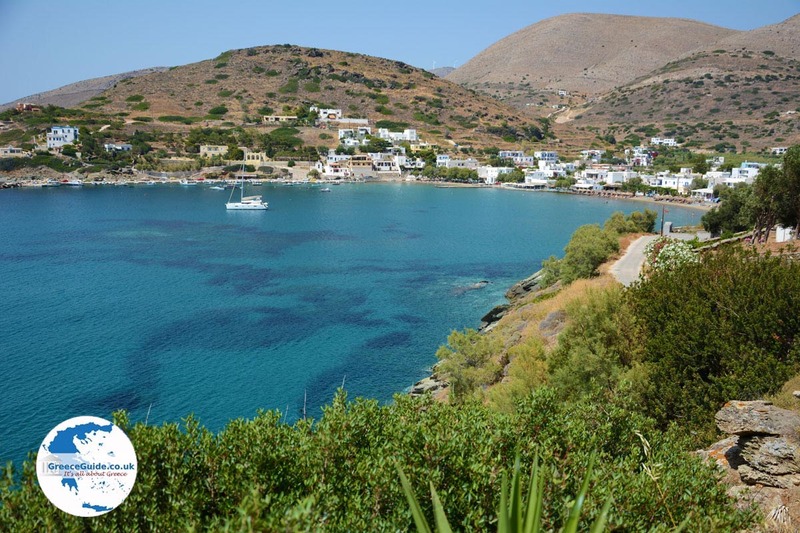 Syros: Where on the map is Kini located?